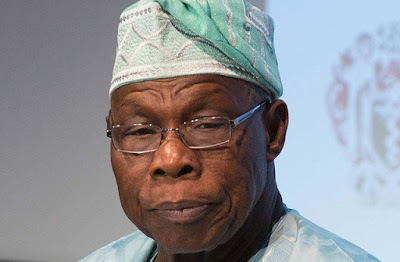 Former president, Olusegun Obasanjo, has leased his 25-room building at N10 per annum in Ibogun village, Ifo Local Government Area of Ogun State for the use of the newly established Coker-Ibogun Local Council Development Area, LCDA. Estherbella's blog gathered that the building which is in Ibogun, the hometown of Obasanjo will serve as secretariat of the council, and the former president rented it out at such amount in appreciation of the new council. The Ogun State Governor, Ibikunle Amosun, according to Premium Times, recently established 52 LCDAs aimed at delivering dividends of democracy to the grassroot. The chairman of the Coker-Ibogun LCDA, Juwon Gbadebo, said Obasanjo’s kind gesture would enhance further development in the state. Gbadebo said the council has reconstructed an extension of a mini water scheme and sink a motorised borehole to prevent water borne diseases through the provision of drinkable water in Iyanalogbo area. Mr. Sonuga added that the LCDAs should work more to ensure that the people at the grassroot enjoy the dividends of democracy.